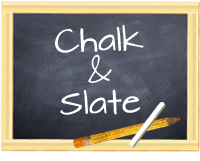 Chalk and Slate: My Very Own! This morning I was reading one of my favorite blogs Think Wonder, & Teach and was suddenly as excited as a kid (or me) on Christmas morning. I have wanted a Teacher Bag for some time now. It was on my list of things to purchase before I left the states but I never found what I was looking for. Well today…I did. Thanks to Thirty-One I have a fabulous personalized Teacher Bag on the way. Of course I had to have it shipped to my parents house but I’m hoping it can then hitch a ride with Mrs. Maya and her hubby when they come to visit in March. Ahhh! I am not sure if I am more excited about being your favorite blog to stalk or the fact that you got a new bag!!! Oh how I can't wait to see which one you picked out! As soon as it arrives... I will need pictures! It'll be a while before it makes it's way across the Atlantic but I will be sure to post pictures!! Hi, I just found you. 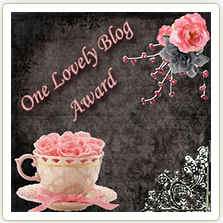 Your blog is cute...I'm new to blogging too. Come visit me sometime. Thanks for the comment! I'll be sure to visit and add your blog. Can't wait to visit and check it out.